In this episode, I go into detail about how to craft your very own Unique Selling Proposition (USP). A USP is essentially what makes you different from your competitors--it's the reason why people buy from you rather than someone else. It's important to carefully plan your ecommerce business's USP and then communicate that to your potential customers. But how can you figure out what your USP should be? Sit back, relax, and listen to find out! To hear this episode, click play above or download in iTunes. Subscribe to Ecommerce Pulse in iTunes! Hi! I’m Leighton, and I’m thrilled that you’re here. I've put together a free 9-day course revealing all of my best strategies to increase traffic and boost conversions. Sign up to get the first lesson in your inbox instantly, plus occasional tips and articles to help you grow your business. 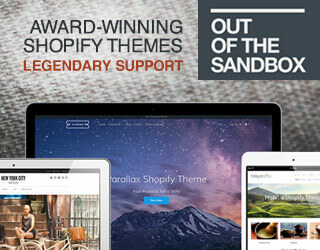 I help my clients build six- and seven-figure ecommerce businesses on Shopify. This site contains affiliate links to third-party products and services. We may receive a commission if you choose to purchase any of these products or services. We appreciate your support!